How can I just get the emails delivered to our email address? The FREE account do have a limit of up to 10 SSL submission limits every Month. 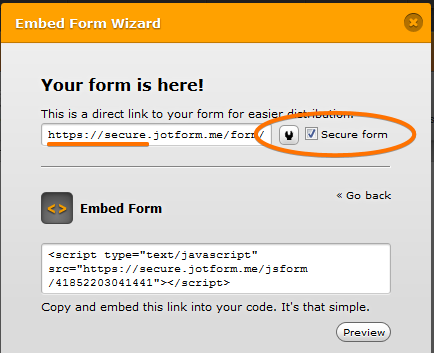 If you do not need the submissions to use SSL, make sure you undo the secure feature of your form. You can add the Notification Email in your form to receive email on submission.